I can no longer attend the event, how do I get a refund? In order to apply for a refund or enquire about changing your booking you will have to contact the organiser directly. Go to the organisers website or social media and finding their contact information. 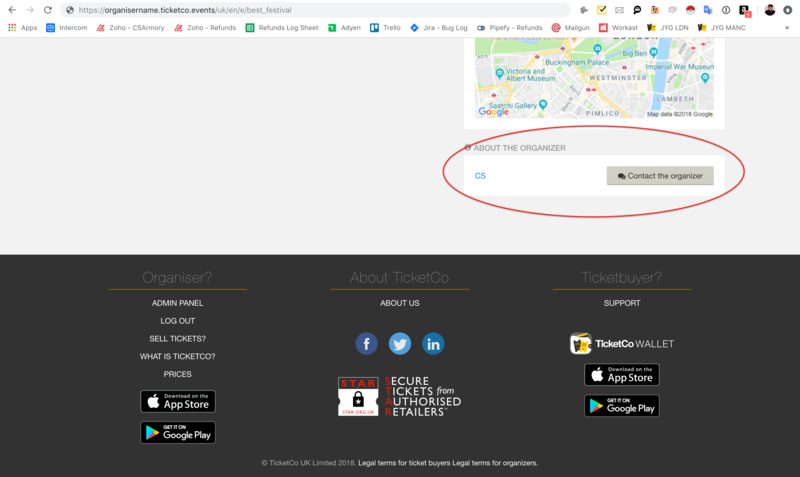 Going to the event page (the page where you bought the tickets) and clicking the "contact the organiser" button at the bottom of the page. Please note: There is no guarantee of a refund. It is at the individual organisers discretion and their refund policy as to whether or not they will issue a refund.